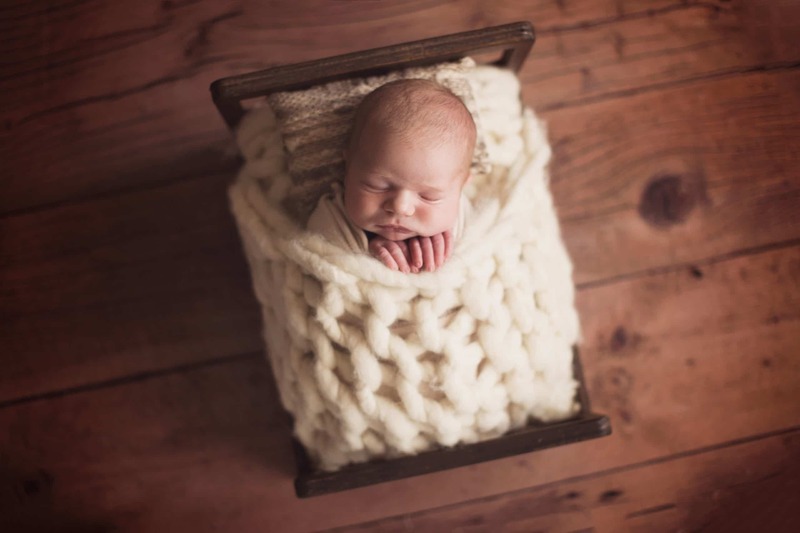 When it comes to sleep training newborns, it can feel like a massive undertaking. Your precious one might be cute, but dealing with their sleep schedule can be a little less adorable! With erratic naps and inconsistent bedtimes, it’s no wonder that many parents call the newborn stage the ‘sleep survival’ stage. Luckily with preparation and planning, you can learn how to survive and thrive within your baby’s frequent rests! The following will explore your newborn’s cycle and help you decide when to start sleep training. If you’re interested in more newborn based material, feel free to check out the rest of my blog! Also, if you ever want to capture these moments as lasting memories, feel free to contact us at Silver Bee Photography! We can set up an appointment for a photoshoot that you and your whole family will absolutely adore. During your baby’s fourth trimester, there’s a lot of crucial development that occurs unconsciously. All that love and stimulation your child gets in their waking life will be synthesized in their sleep. So, it would be a huge understatement to say that your baby will take a couple naps. According to the National Sleep Foundation, children will have spent more time asleep than awake in their first two years of life. This is especially true with newborns, who sleep nearly 18 hours out of every 24-hour cycle. This excessive sleep quota means that you can’t really establish a rigorous schedule. In the first two months, your baby will pretty much nap when they are sleepy and wake when they are satiated. So, this means that a lot of your job is stimulating their waking time with lots of nutrition and nourishment. When it comes to your infant’s schedule, the name of the game is facilitation. It’s your job to facilitate their unique sleep cycle and make certain not to impose your own schedule. You don’t need to be deeply worried about when to start sleep training just yet. Simply, be there for your child and actively facilitate the rest periods that they want to take. Before we delve into schedules, just remember that no two babies are the same. What might work for one, will be a nightmare for the other. The following is simply a guideline for a successful rest period. If it doesn’t agree with your little one, then feel free to make one that works best for you! Wake up at 7:00 am (or a tad earlier…). 3-5 naps, each nap being anywhere between fifteen minutes and three hours long. A nighttime uninterrupted sleep duration of 2-4 hours. In total, this should add up to about 15-18 hours of sleep per 24 hour period. Although this may seem like a lot of potential mommy downtime, that is not always the case. Remember, although naptime can last up to an hour, it can also only last 15 minutes! This means your infant could be ready for mommy within minutes after being set down for a nap. Due to this, you will need to be proactively preparing for feedings, changings, and nurturing within every waking period. If your baby is only going to be awake for 6-9 hours every day, you’ll want to take advantage of that! Your infant is going to have a somewhat erratic sleep schedule for the first two months. So, once more, you don’t need to fret too much about when to start sleep training. Let your baby sleep when they’re tired and give lots of attention when they’re awake. This is the best way to instill the beginning steps for sleep training. You can further this training by stimulating their circadian rhythm; this is a lot less difficult than it sounds. Simply, make certain that their days are well lit and filled with appropriate stimulation. This will establish that the sunlit hours are for activity and play. Conversely, your infant’s nights need to be dark, soothing, and devoid of excitement. This creates the idea that nighttime is for long periods of rest. By enforcing a circadian rhythm from day one, you may be able to save yourself from some sleepless nights in the future! ‣ Always lay the newborn down on her back when they sleep. If they rest on their side or tummy, it’s more likely that their airway can become blocked. ‣ Sleep in the same room as your child. This ensures that you’ll be within an arm’s reach should something go wrong. ‣ Keep a firm sleeping surface, like a crib or bassinet. Make certain that this area is as de-cluttered as possible. You don’t want your precious angel ever compromised by too many toys. As a newborn photographer, I’ve had years of experience with families in the midst of sleep training newborns. In that time, I’ve learned that no two families are the same. They all had different approaches for scheduling, bedtime practices, and when to start sleep training. This diversity of methods has only helped me expand my knowledge of handling newborns during photoshoots. All that time has taught me that, at the end of the day, it’s all dependent on you and your baby’s needs. Find what works for you and your little one, then stick to it! To schedule a photography session for your baby, contact us at Silver Bee Photography! We want to capture your precious family memories with images you will treasure forever. Send us an email or call us for more information on our services!